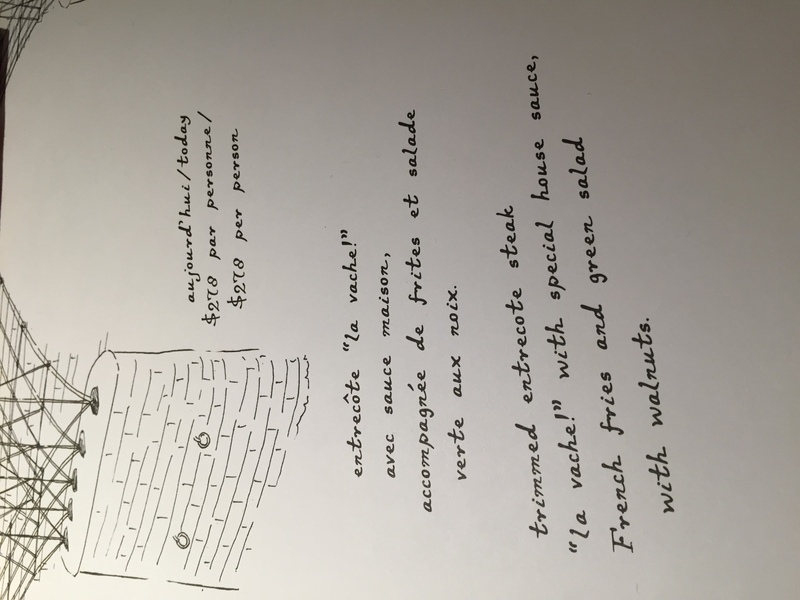 If you’re heading to Hong Kong for the Great Hong Kong Sale, please don’t miss out La Vache!, one of the Black Sheep restaurants group’s highly successful restaurant. Dining at La Vache! is as breezy as one, two, three, because there’s only one meal that you can order at La Vache! Their trimmed Le Entrecote steak meal, Rib-eye to the layperson, is phenomenal. To miss it is to miss the next big thing in steak world. But I’m not kidding. I love SoHo and what a difference climbing up the steps it makes. You’re taken to a different side of Hong Kong. It’s the gentrification of Hong Kong. While walk ins are accepted, reservations at La Vache! are recommended for parties of five or more. They have an online form in their website that lets you find an open table at your convenience. Complimentary bread for those who can’t wait. Acidic. Nutty. Cuts through your palette. It definitely sets a tone for the rest of the meal. I loved this simple salad. Pomme frites if you want to go French, but that’s just french fries. It’s as simple as that, except there’s nothing simple about the crunch and taste of this absolutely addictive and delicious french fries. And get this ~ it’s damn unlimited. You’ve been warned. Come here on a diet break. Alas, we have finally arrived to the star of the meal. You can dictate the doneness of your steak, and you can have it well done. I did mine medium well, just so I can savour it slowly as it cooks in the plate. Each bite is a smack in heaven for me. The special house sauce is great for dipping, tasting eerily like Bernaise sauce. Sadly, while the steak was really delicious, the dessert fell flat. The eclairs tasted old. Keep in mind that at La Vache!, you can’t share each steak. Each person in the table needs to order the set meal. I guarantee you, you don’t want to share your steak with anyone.